Over the years, websites and applications have evolved to become more and more complex. In order to deliver a better user experience to end user, user experience design (UX design) has become increasingly important. 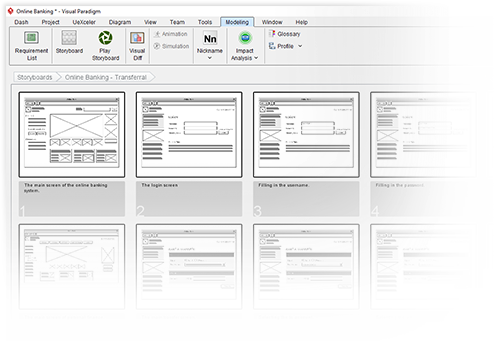 One of the most effective method in UX design is storyboard. Effectively create story telling scenarios to portray your screen designs. Confirming both the end user and development team knows what has to be done. Identifying possible issues and exploring for solutions. Present your storyboard following its scenarios. Get constructive feedbacks to help improve your customers' satisfaction.